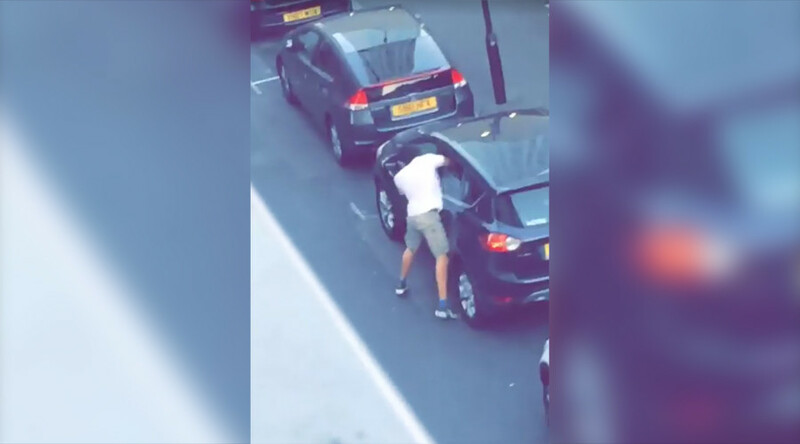 The horrifying moment a knife-wielding man thrusts himself through a car window and stabs a driver several times in East London has been caught on camera. According to the Evening Standard, the victim, aged 20, had parked his black Ford car on a street in the Isle of Dogs on Wednesday when three men on their bicycles surrounded the vehicle, allegedly smashing one of the windows. One of the attackers, a man in a balaclava wearing a white shirt and shorts, can be seen lunging through the car window and stabbing the driver several times. It is then understood the attacker also injured someone in the passenger seat before fleeing the scene. The victim received minor cuts to his hands and arms. A Metropolitan Police spokesperson said: "Detectives in Tower Hamlets are investigating an attempted GBH [Grievous bodily harm] in Cuba Street, the Isle of Dogs at about 9pm on Wednesday, July 5." "The injuries are not life-changing or threatening. Enquiries continue,” the statement said, according to the paper. The incident is the latest in a spate of knife attacks in the capital.Just two days ago, a 17-year-old was taken to hospital with serious stab wounds, including a punctured leg, after being repeatedly struck in Newham, East London. Terrifying footage shows his attacker walking down a busy high street in the area before charging the teenager and stabbing him repeatedly. The boy is seen attempting to flee, but the relentless attacker chases him further down the street until he is out of view of the camera. 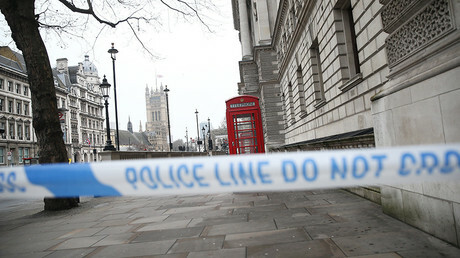 Just last week, police found themselves having to investigate three deadly stabbings within 24 hours in London. Italian-born Pietro Sanna, 23, was found dead in his home in Canning Town after being repeatedly stabbed. It came just a few hours after another 29-year-old man was found stabbed to death in a flat in Islington. Another woman, 22 , was injured and arrested on suspicion of attempted murder. Less than 12 hours later, a man was found collapsed outside a school in White Horse Road after being stabbed during an apparent brawl in a shop in East Ham. A month before, 11 deadly stabbings were reported in London within two weeks. In response to the rise in knife crime, which according to official statistics has gone up 24 percent in the year to April, the Metropolitan Police says it has launched Phase Eight of Operation Sceptre, which will see the force carrying out proactive operations to tackle knife crime in the city.